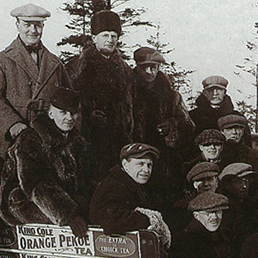 Confederation, and brothers George L. and William Barbour establish a food wholesaling business in what is now Market Square, Saint John, NB. 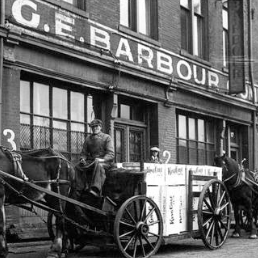 George Barbour’s son G.E. 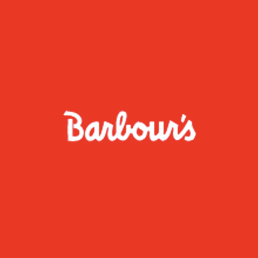 Barbour becomes owner, adding the tea and coffee offerings of newly acquired Dickason & Armstrong. 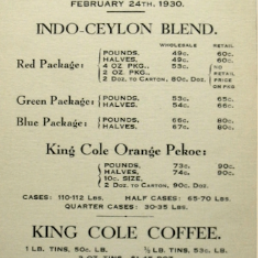 A New York tea merchant sends samples of tea to his customers in small silk pouches. They mistakenly assume the bags are to replace their metal infusers. Unintentionally, the tea bag is born! 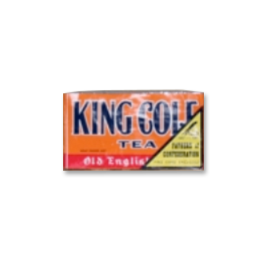 The King Cole Old English Blend Tea box has always been orange! 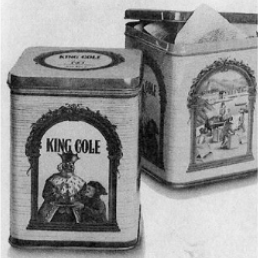 Tea bags start to catch on as a convenient and reliable way to brew a delicious cup of tea. 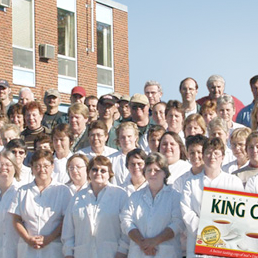 King Cole Teas can be found in most Atlantic Canadian cupboards. 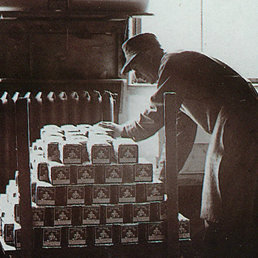 Barbours, and Canada, celebrate 100 years. 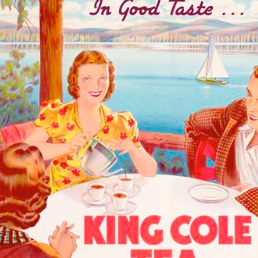 The King Cole Tea brand turns 100! 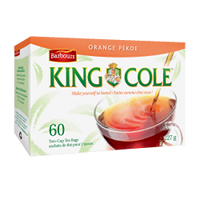 King Cole introduces new packaging and tea flavours.